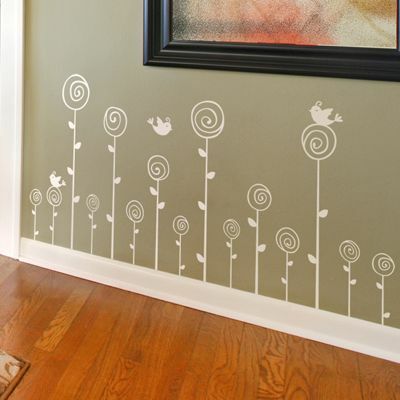 These pretty and simple poppy wall decals are a cute and lively addition to your space! They come as a set of fifteen and can be placed however you choose, and even come with the little birds shown! Sizes range from 9.5 inches high to 31.5 inches high. Little birds measures about 4-5 inches wide. 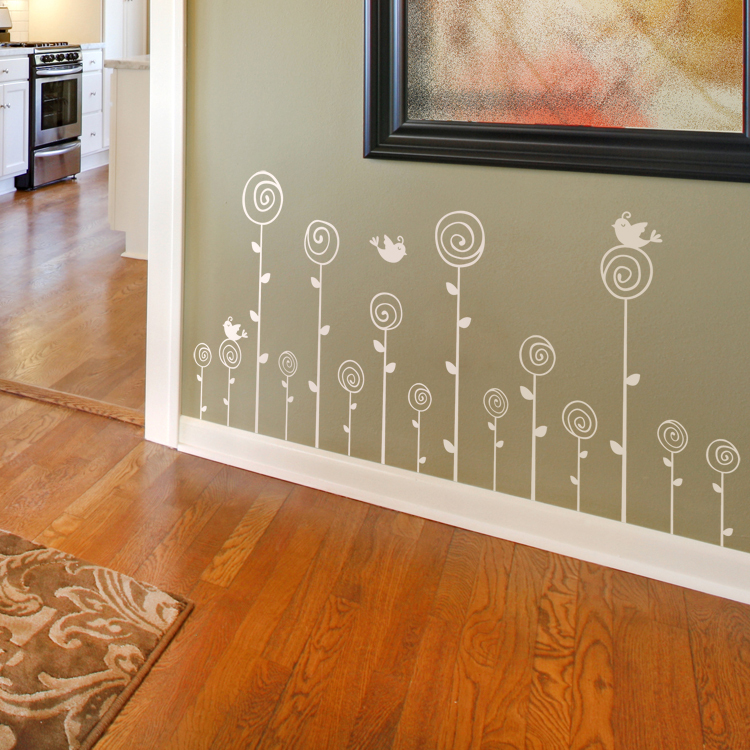 These swirling poppies and birds come separately so that you may place them however you choose! Practice decals are included with every order. Amazing! I bought the "cute birds" decal and I was amazed when I got double the amount I ordered since they send you extras! Very pleased.